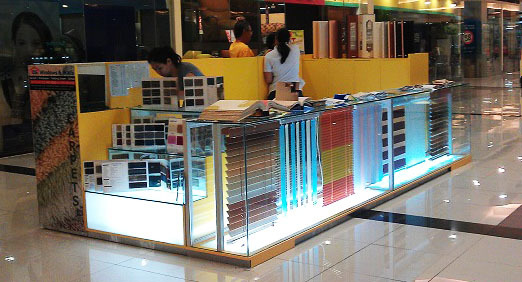 Due to increasing demand for window dressing nowadays, DS Windows and Walls Interior Supply put up a newly showroom at 3rd level Robinsons Metro East, Marcos Highway, Barangay Dela Paz, Santolan, Pasig City. That was our second showroom in Metro Manila; first showroom was located at 4th level Waltermart Center, Pasong Tamo cor.Pasay road, Makati City. 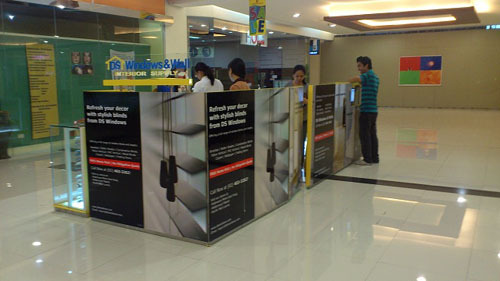 In province area, we have showroom at 2nd Level Pacific Mall, M.L. Tagarao St., Lucena City. 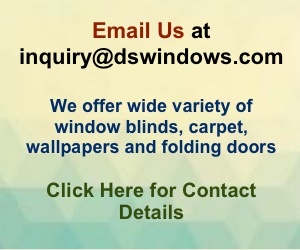 Our main goal is to provide you the best window dressing in an affordable and competitive manner. We offer different types of window blinds – Roller Blinds, Combi Blinds, PVC Vertical Blinds, Fabric Vertical Blinds, Mini Venetian Blinds, Fauxwood Blinds, and Wooden Blinds. We also offer Vinyl Wallpaper covering, Carpet and PVC Accordion Door. We offer FREE estimate and home visit within Metro Manila. If you have do-it-yourself measurement, you can email us at inquiry@dswindows.com and we can provide you FREE quotation. We customize different sizes of window blinds and folding door. Call us at Tel (02) – 403-3262 / Fax (02) 893-1373 / Mobile 0916 311 3909 for more information.